According to the latest information, the South Korean giant Samsung’s Galaxy S9 and the Samsung Galaxy S9+ are scheduled to be released to the market in February 2019. However, the most interesting thing about this new device is that it will be the first device to feature Snapdragon 845. New rumors about the South Korean giant Samsung’s Galaxy S9 appear on our doorstep. We all know that the smartphone will come again in two variants next year, but it’s different from last year, it seems that the Korean company again plans to present the smartphone in the Barcelona MWC. 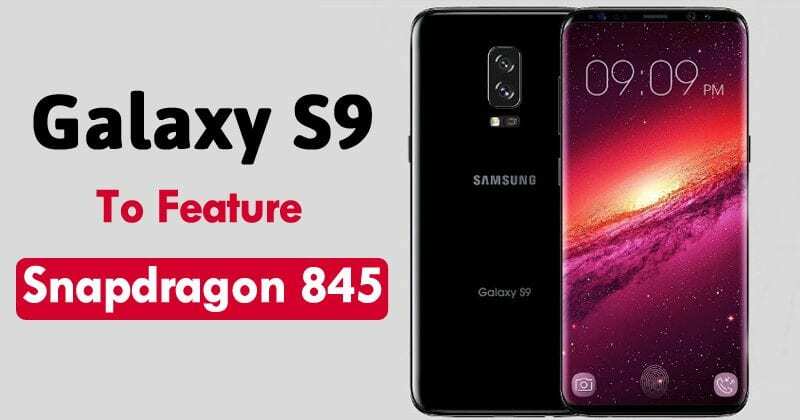 As the latest information on the device notes that the South Korean giant Samsung’s Galaxy S9 and the Samsung Galaxy S9+ are scheduled to be released to the market in February 2019. Of course, although its launch is planned for early next year, it is unclear if the brand will choose to return to the Mobile World Congress (MWC) to launch the Samsung Galaxy S9, or prefer to develop an event itself as the signature held in April this year when introduced the Samsung Galaxy S8 and its larger model, Galaxy S8+. Although the mobile will launch later, during the last three years before the Galaxy S8, the South Korean giant Samsung used the popular fair MWC to announce the latest version of its iconic Galaxy S series. Taking into account that the Mobile World Congress will be held February 26 to March 1, 2019, is likely to be then when we know the Samsung Galaxy S9. The model numbers for the new Samsung phones are SM-G960 for Galaxy S9 and SM-G965 for Galaxy S9+. Both models are inclined to have a double curve display, such as the Galaxy S8 and Galaxy S8+ made before. It is also expected to include the dual camera setup that debuted with the Galaxy Note 8 on the + model, as the normal S9 would integrate a single lens. Both cameras will have 2x zoom and have optical image stabilization (OIS) to help produce clear photos, even in low light conditions. This new flagship will have an OLED screen and would presume the Snapdragon 845 exclusively, as it did with the current flagship of the firm that caused other competitors to launch to the market their top of the range with different processors. If the deadlines are finally met, it would mean that we are less than 5 months to know the renewal of the current star range of the firm.